The 2018 Station1 Fellows received an exciting and unique transdisciplinary curriculum that draws upon history of science and technology, social studies of science and technology, equity and inclusion, computation in a social context, social change and innovation, ethics, and inclusive leadership connected to emerging fields of science and technology, as a strong foundation for the students' frontier research and development internship projects. The flow of the topics follow and are integrated with the key components of the inquiry and research process. The 2018 Station1 instructors are listed below in alphabetical order. We are so pleased to host many amazing scholars to teach at Station1 this summer. Having a positive impact on the future of making and learning via design based education is my area of interest and expertise. As a learning architect, I catalyze the integration of creative mental tools, critical design processes and digital technology skills to better prepare current and future learners for jobs that have yet to exist. With 30 years in the public and private sectors related to design and engineering education, I managed Autodesk's Learning Futures team by interweaving its emerging cloud based design technologies to academia through applied research, thought leadership and faculty fellowship programs. Prior to Autodesk, I was the principal and co-founding partner of Arjuna Learning Designs LLC., a firm specializing in the creation of interactive learning objects to enhance quality of teaching and learning for name brand publishing houses. I have also been a tenured professor and department head of industrial design at Southern Illinois University at Carbondale. Corentin heads the Structural Xploration Lab (SXL) since its inception in July 2016. Prior to 2016, Corentin worked for two years at the Massachusetts Institute of Technology, first as a post-doctoral fellow in the Department of Architecture and then as a lecturer in the Department of Civil and Environmental Engineering. Corentin holds a master in Architectural Engineering and a PhD in Engineering Sciences from the UCLouvain, Louvain-la-Neuve, Belgium. Corentin's research and teaching are driven by the need for more environmentally responsible building systems. Bridging the gap between architecture and structural engineering, his work explores more sustainable implementations of load-bearing materials, new design methods for resource-efficient structural typologies, and historical exemplary practices of structural design. I am a Research Scientist and Teaching Fellow at the Laboratory of Atomistic & Molecular Mechanics (LAMM) of the Department of Civil & Environmental Engineering at MIT. I am also member of the advisory board of Sweetwater Energy, president of the Association of Spanish Scientists in the US (ECUSA), and former president of the Spanish Federation of Chemical Engineers (FEIQ). I teach Chemistry at OME Interphase EDGE program, co-instructs 1.007 Big Engineering, and act as Teaching Assistant of 3.021J Introduction to Modeling and Simulation. I am also co-author of one the most recent and relevant books on Lignin and Lignans (Wiley, 2015). I earned my MS in Chemical Engineering at University of Granada (Spain) in 2005, my MS in Theoretical and Computational Chemistry in 2007, and my PhD in Chemistry from the same University in 2011. My PhD was developed at the Modeling and Molecular Design Group. Prior joining MIT in 2014, I was visiting scientist at University of Hamburg(Germany), and postdoctoral associate at Free University of Brussels (Belgium). I have a passion for innovation and extensive experience applying creativity, technical ability and leadership in research and development. I am creative, problem-solvent oriented and passionate about people. Moved by awareness and curiosity, I develop biomass nanotechnology that integrates multi-scale modeling, and machine learning, with hydrothermal processing and silk spinning, to design an manufacture more sustainable materials and technologies that help addressing one of the greatest challenges humanity has faced so far: surviving on a small planet with limited resources to support our increasing global population. Ceasar L. McDowell is Professor of the Practice of Community Development and Civic Design at MIT. He holds an Ed.D. (88) and M.Ed. (84) from Harvard. Ceasar's current work is on the development of community knowledge systems and civic engagement. He is also expanding his critical moments reflection methodology to identify, share and maintaining grassroots knowledge. His research and teaching interests also include the use of mass media and technology in promoting democracy and community-building, the education of urban students, the development and use of empathy in community work, civil rights history, peacemaking and conflict resolution. He is Director of the global civic engagement organization dropping knowledge international Dropping Knowledge International, MIT's former Center for Reflective Community Practice (renamed Co-Lab) and co-founder of The Civil Rights Forum on Telecommunications Policy and founding Board member of The Algebra Project Algebra. 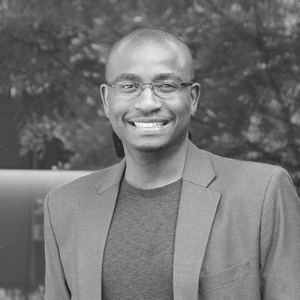 Dr. Fanuel Muindi is a Principal Investigator, Metascientist, Author, Curator Editor-in-Chief and the Assistant Director of Graduate Studies at Harvard University in the Department of Molecular and Cellular Biology. Muindi is co-founder (with Moytrayee Guha) and Principal Investigator of the Stem Advocacy Institute, an organization that "envision(s) a future where equitable access and exposure to quality science education is possible for all." Building on his scientific training from Stanford University as a graduate student, MIT as a postdoctoral fellow, he brings breadth and depth of experience to provide deep insight in science development and communications to engage broader audiences. I am a professional development advisor passionate for working with students in the STEM field. I started my career as a research analyst at John Hancock, then moved into program management at Northeastern University’s College of Engineering working with several environmental health focused multi-institutional research centers. My experience in higher education spans grants management, strategic planning, one-on-one student advising, employer relations, event planning, program evaluation, and reporting. I aim to create inclusive and diverse environments, and feel personally driven to increase participation of students from all backgrounds in the STEM field by increasing access to hands-on work experiences and professional mentorship. Previously I worked as the Global Co-op Counselor at Northeastern University’s College of Engineering advising graduate and undergraduate students on international work experiences and developing employer relationships abroad. I have also developed and managed an interdisciplinary training program aimed to increase diverse participation in the field of environmental health research. I received a B.A in Asian Studies and Philosophy from Suffolk University in Boston, MA and a graduate certificate in Business Administration from Northeastern University’s D'Amore-McKim School of Business in Boston, MA. I am a scientist, engineer, social entrepreneur, educator, and professor. As founder of Station1, I have over 25 years experience in higher education and am the (tenured and chaired) Morris Cohen Professor of Materials Science and Engineering and former dean for graduate educationat the Massachusetts Institute of Technology (MIT). During this time, I had the privilege of supporting over 7000 students from more than 100 countries and working with hundreds of faculty and staff on initiatives in diversity and inclusion, global education, technology-enabled learning, learning assessment, curricular and pedagogical design, new financial models, 21st century personal and professional skills development, and many more areas. As a scientist and engineer, my research expertise is in the area of multiscale design and mechanics of biological and bio-inspired materials and manufacturing and I have over 180 scholarly publications and 30 national and international honors, including the Presidential Early Career Award in Science and Engineering given to me at the White House by President George W. Bush. I received a B.S. from Rensselaer Polytechnic Institute (RPI) and an M.S. and Ph.D. from Cornell University all in the field of Materials Science and Engineering. I am an alumni of the National Consortium for Graduate Degrees for Minorities for Science and Engineering (GEM) which provided me with a transformative fellowship and summer internship and enabled me to continue my education and was critical to my career path. I serve on numerous boards, including as a regional accreditation commissioner for the Commission on Institutions of Higher Education, New England Association of Schools and Colleges. Christine M. Ortiz is a social entrepreneur with an Ed.L.D. from the Harvard University Graduate School of Education, an an M.Ed. in curriculum design and instruction from the University of Central Florida, and a Bachelors Degree from the Massachusetts Institute of Technology, Department of Political Science. Her Ed.L.D. thesis was on the topic of equityXdesign: Leveraging Identity Development in the Creation of an Anti-Racist Equitable Design Thinking Process. Ortiz is the cofounder of the Equity Design Collaborative. She has expertise in youth empowerment, education and curriculum design. An MIT grad with two masters’ degrees, Ortiz spent her high school years working on the national, teen anti-smoking Truth Campaign and advising corporate executives on engaging youths for social change. At the age if 18 she founded her first company, Allen Ortiz Consulting, through which she developed youth empowerment curriculums, designed marketing and branding strategies for social change initiatives, launched state and country-wide change campaigns, and spoke in front of hundreds of thousands of youth and adults. She opened a tutoring and test prep center, a stepping-stone to her most recent venture, Knowledge Commons, an innovation lab that is rapidly prototyping solutions to education related issues. The Commons include Ampersand School, a K-12 school, with mixed-age classrooms, an integrated and thematic curriculum design, and a constant focus on individuality, collaborative curriculum development workshop series and now [ ]schools, a radically different approach to new school model development. She is also heavily involved in the education, tech and entrepreneurship community in Orlando, organizing local events like edcamp, edtech meetup, startup weekend and startup weekend EDU, givecamp, impact forums and anything that brings cool people together and continues to make Orlando awesome. Dr. Padmanabhan Seshaiyer is a tenured Professor of Mathematical Sciences at George Mason University and serves as the Director of the STEM Accelerator Program in the College of Science as well as the Director of COMPLETE (Center for Outreach in Mathematics Professional Learning and Educational Technology) at George Mason University in Fairfax, Virginia. His research interests are in the broad areas of computational mathematics, scientific computing, computational biomechanics and STEM education. In particular, his research in computational mathematics includes the development of new analytical techniques and efficient computational algorithms to obtain numerical solutions to differential equations describing multi-physics interactions. His research in computational biomechanics includes developing, extending and applying mathematics for the purposes of better understanding the physiology and pathophysiology of the human vascular system. Integrated with the research plan is a STEM education plan where the primary goal is to teach students and teachers at all levels to apply well-developed research concepts, to fundamental applications arising in STEM disciplines. During the last decade, Dr. Seshaiyer initiated and directed a variety of educational programs including graduate and undergraduate research, K-12 outreach, teacher professional development, and enrichment programs to foster the interest of students and teachers in STEM at all levels. During this time he received multiple grants from several agencies, including the National Science Foundation, the National Institutes of Health, Whitaker Foundation, Texas Advanced Research Program, Virginia Department of Education and State Council for Higher Education in Virginia. 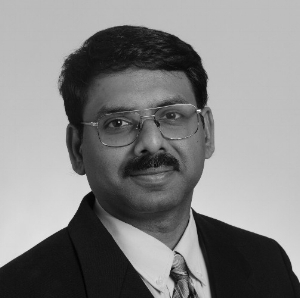 In addition to his research accomplishments, Dr. Seshaiyer contributed extensively to teaching and won several prestigious awards, including the President's Excellence Award in Teaching which is the highest award for teaching offered at two different institutions, the faculty mentoring excellence award in 2013 and the GMU Alumni Faculty of the Year in 2014. He has delivered keynote and plenary talks at several national and international meetings. He is also one of the Nifty-Fifty speakers and an X-STEM Symposium Speaker for the USA Science and Engineering Festival invited for a fourth time and also has given two TEDx talks, the most recent one being "The M in STEM". He serves on several prominent local and national organizations including a newly formed VA-STEM learning network; the Virginia Mathematics and Science Coalition; the WashingtonExec STEM Council; the LEGO Education Advisory Panel (LEAP) and the Northern Virginia MATHCOUNTS board. In 2013 he was elected both as a new Councilor for the Mathematics and Computer Science Division of the Council on Undergraduate Research as well as the US National Commission for Mathematics Instruction by the National Academy of Sciences. He is also actively involved in multiple global STEM collaborative projects and training programs that engage students and faculty from various countries including Tanzania, Suriname, Philippines, Myanmar, Tunisia, India, Colombia, Ecuador, South Korea and a more recently formed Latin-American Consortium that brings together researchers from multiple countries. Jingjie Yeo is a postdoctoral scholar at Tufts University in the Department of Biomedical Engineering and a Research Affiliate a the Massachusetts Institute of Technology (MIT), Department of Civil and Environmental Engineering). 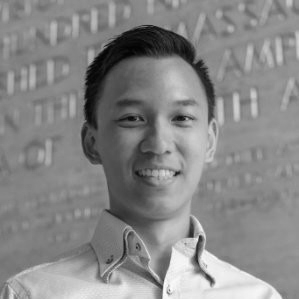 Prior Yeo was an A*STAR-funded Postdoctoral Fellow at MIT since March 2016. Prior to this appointment, he was a research scientist in the Institute of High Performance Computing, A*STAR, Singapore, working on Molecular Dynamics Simulations of Biological and NanoMaterials. He received his B.Eng in 2010 from Nanyang Technological University (NTU), Singapore, majoring in Aerospace Engineering with a minor in Business. He received his Ph.D in 2014 from the School of Mechanical and Aerospace Engineering, NTU, after obtaining the Agency for Science, Technology and Research (A*STAR) Graduate Scholarship, under the supervision of Assoc. Prof. Ng Teng Yong (NTU) and Dr. Liu Zishun (ICAM XJTU). His Ph.D. research focused on the Modeling and Simulation of the Thermal and Mechanical Properties of Ultralight Materials.